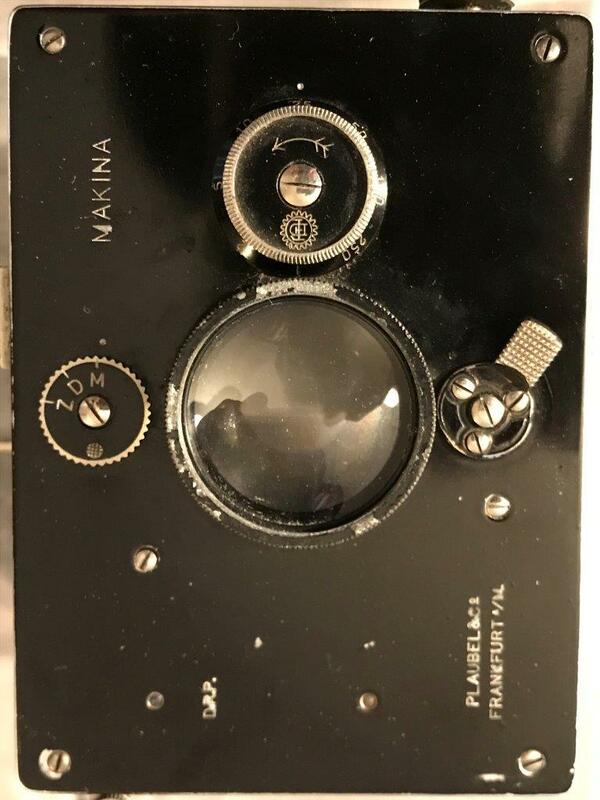 This Plaubel Makina - the "baby" original model - 4,5x6cm - plate model. This is the 7.5cm f3 version and it seems to work OK (just the ZDM dial is stuck). I don't know much about these - it's cute! I paid $5. Can you tell me what I have here? Not sure I understand the different accessory backs beyond the cut film/plate inserts - did they make a roll film accessory for these little ones? Do you purchase lottery tickets? Maybe you should, considering your luck when it comes to finding nice cameras at rock bottom prices. Wonderful baby - maybe you should feed it some J. Lane plates or cut down film? I would second Jason Lane Dry Plates for this little wonder. Jason will cut them to 4.5x6 for you. The plates should go right into those Baby holders. But the holders have film septums in them as well, so you could cut down sheet film and use that. 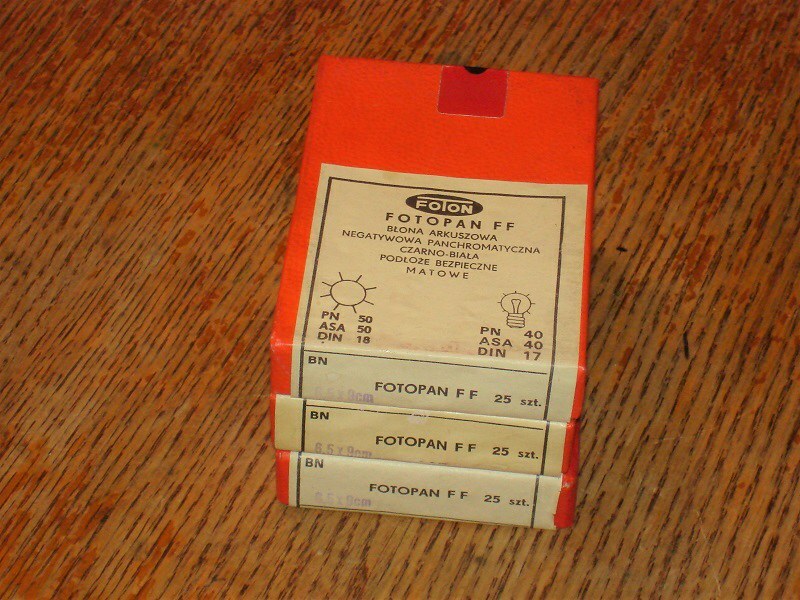 6.5x9cm sheet film is available from European dealers. You could cut that in half. Ok- you guys are throwing terms at me that I don't know! I'm gonna need to do some research - "dry plates" and "film septums" . So- to use the ground glass focus, I would need the "Z" setting, correct? I'll back up and explain. I'm not familar with the Baby Makinas, but I am intensely interested in the bigger "classic" 6.5x9cm Makinas. 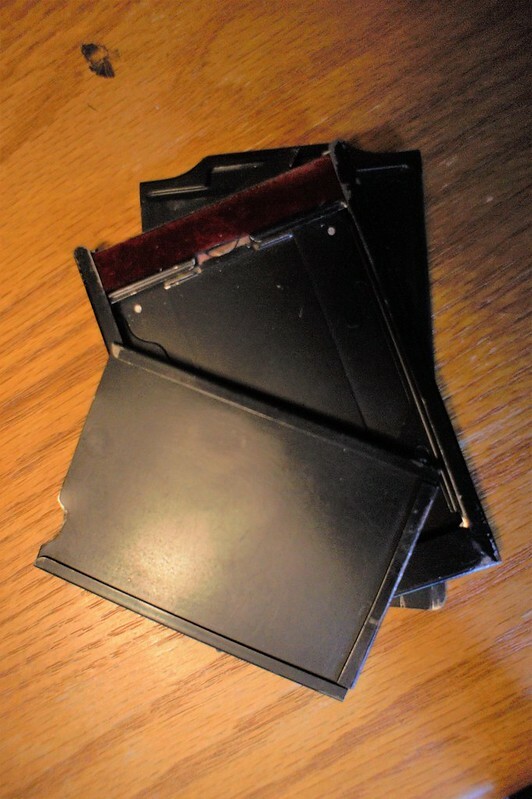 Here is a 6.5x9cm Makina Film Holder. If you release the clamp mechanism, it releases the "film septum" which is an additional accessory. The film septum will hold a piece of modern flexible sheet film. Without the septum in place, you can insert a glass "dry plate' directly into the holder. So it works with either dry plates or modern sheet film. J. 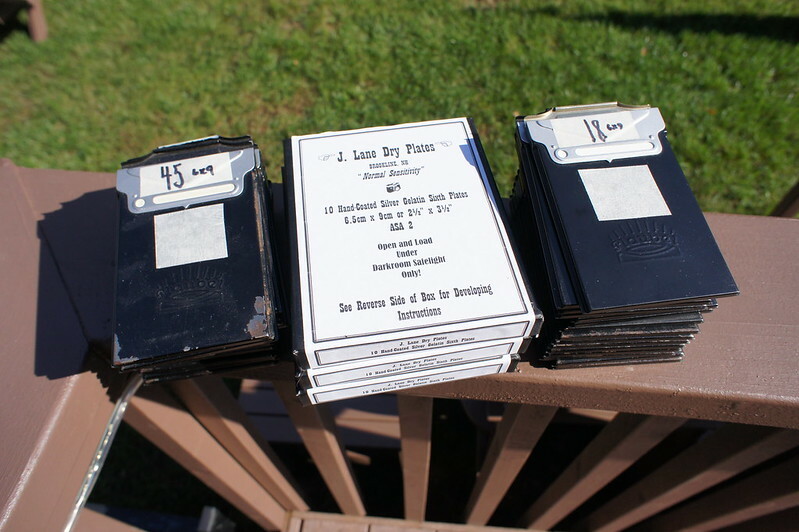 Lane is making glass dry plates for photographers on demand. He will custom cut the glass for you to any size and coat the emulsion ready to shoot. Dry plates were revolutionary in the 1880s 'cause you didn't have to carry a tent and chemicals around and deal with caustic wet plate chemistry. You could travel anywhere, shoot them, and develop weeks later. Quite revolutionary. Dry plate photography is gaining popularity, especially with very old cameras Or, use European sized sheet film! Or maybe a roll back? Don't know about that in this smaller size. Play with the settings to open the shutter. They are of course in German! Slip this is your pocket and go places with it. Very cool and helpful - what a cool system. 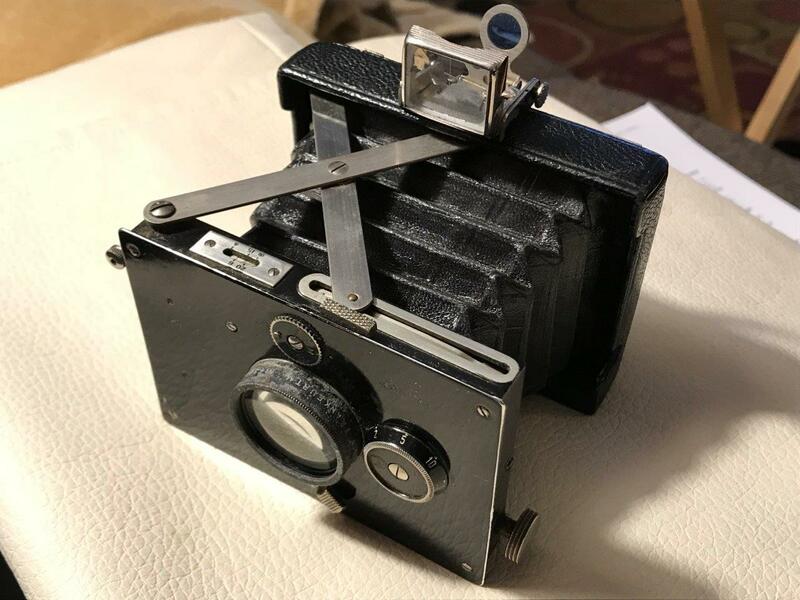 I've only ever shot 35mm and medium format roll film - but I sorta knew about the 4x5 Graflex sort of stuff...and read about the big view cameras- but never handled that gear. I think I understand how the plates work- not sure if the glass that was already in the holders I have are ruined plates or just there to provide backing for cut film? 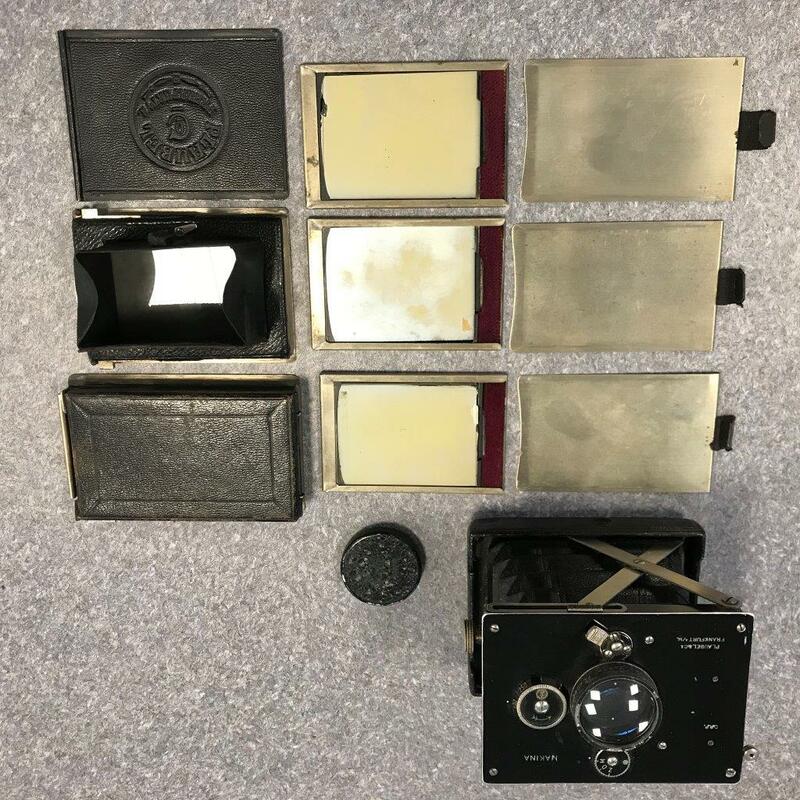 My back that is in the last picture is what confuses me- it has parts that look like the photos online of Rada and Rollex backs but without the spool part- it's hinged and velvet-lined but not light tight and not for the magazines? 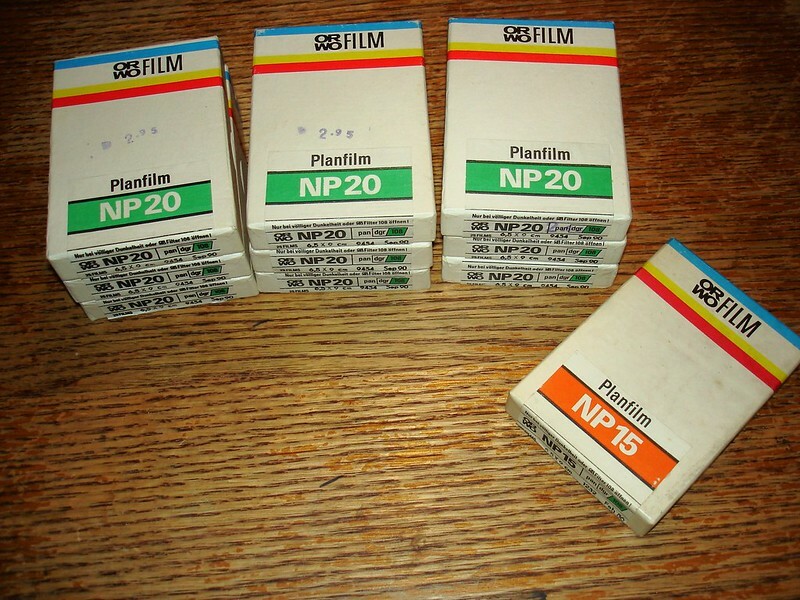 As I stated this 6.5x9cm film size is available fresh from dealers in Europe. The ORWO (same Bulgarian dealer) is outdated but still good. Here's one on German Ebay. You did very well! Actually yours is a lot nicer looking than this one, and you have the accessories! 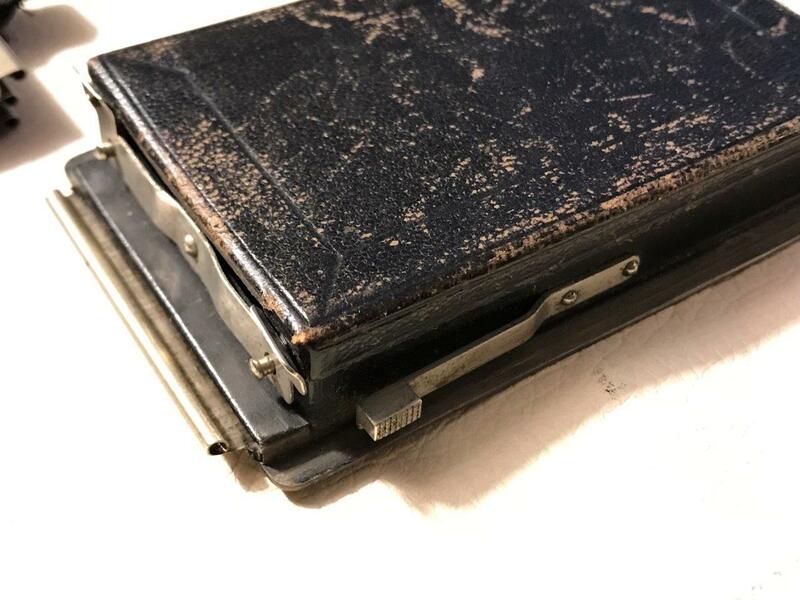 Plaubel Schmaubel — what’s the address and date of that swap meet?! 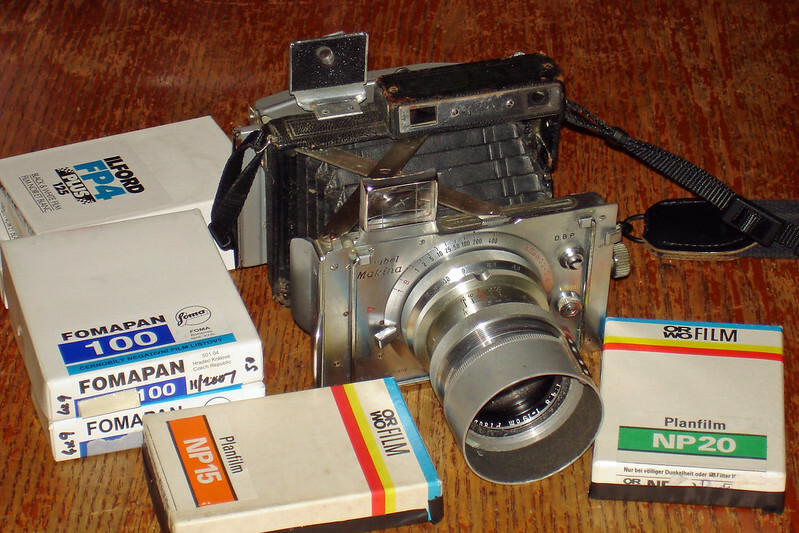 Not sure if I will actually try to shoot with this camera - but it was a fun find and I love reading about the history.